Remembering that I also have a handful Oistrakh recordings in my Korean Legendary Soviet Recordings box, I discovered yet another early Prokofiev Violin Concerto no. 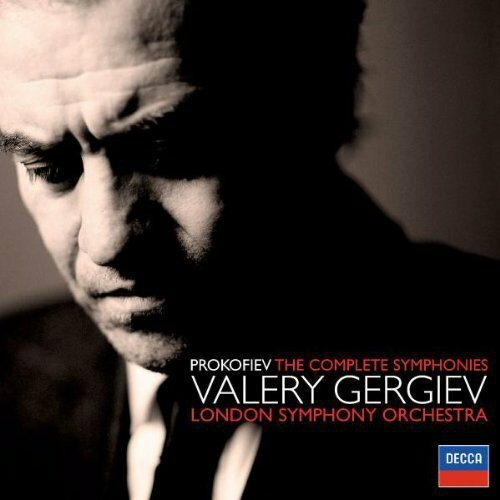 1, but unfortunately not with the composer this time either, but another Kondrashin (live) recording from 1955 with the All Union Radio Large Symphony Orchestra. Daedalus and cdgenarian like this. That recording with the composer conducting sounds intriguing, but is not included in either of the two Oistrakh boxes readily available. cdgenarian and Åke Bergvall like this. That recording with the composer conducting sounds intriguing, but is not included in either of the two Oistrakh boxes readily available. While both the EMI and DG boxes include early mono recordings of Concerto no. 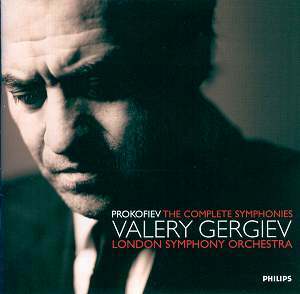 1, they are with Kondrashin conducting the USSR State Symphony Orchestra (1953, DG) and Matacic conducting the LSO (1954, EMI). By then Prokofiev was no longer able to conduct, having died on March 5 1953, the same day as Stalin. It wouldn't be in those boxes; it wasn't recorded by DG or EMI, or in fact any Western label. It would have originated with Melodyia, and if you're trying to track it down you'll need to look for issues sourced from that rich but mysterious catalogue. Good luck--Melodyia recordings seem to wash up on Western shores and then recede again like the tide, and seldom is there any rhyme or reason to what gets issued and what doesn't. There used to be a CD label called Russian Revelation that seems a plausible candidate; you might start there, although I have no idea if it actually ever picked up that recording. Here in the United States, if you were willing to take it in LP form, the Colosseum issue is a known quantity, and the recording might well have appeared on MK; I doubt the former would have made it to Sweden, however, and while I think the latter had more of an "official" relationship with Melodyia, I don't know how much or whether it extended to issues overseas. Yes, that's the very one. Thanks for doing some legwork, and agreed about the box collections, particularly their propensity to prioritize sound quality over performance. The EMI box also includes the really first-rate 1958 recording of the Concerto No. 2 which was conducted by Alceo Galliera and the Philharmonia Orchestra. I blush to confess I'm not that familiar with the Prokofiev vln. cti., but this may be of interest: David Oistrakh recorded the first with the composer conducting. I have two copies, both on LP, but only one really worth owning. That one is on a '50s label called Colosseum (trademark was a picture of the ruined Colosseum in Rome with the motto "Only Great Art Survives"--and the label didn't), one of those little American all-classical labels that used to pop up now and again, none successfully, with a business plan of making a living on reissuing masters from the then Soviet Union for Western music lovers. The other is on Everest from its post-Belock days, which, with its typical discerning standards, saw fit to reissue this workaday example of '50s Communist Bloc mono in--fake quad. Ugh! 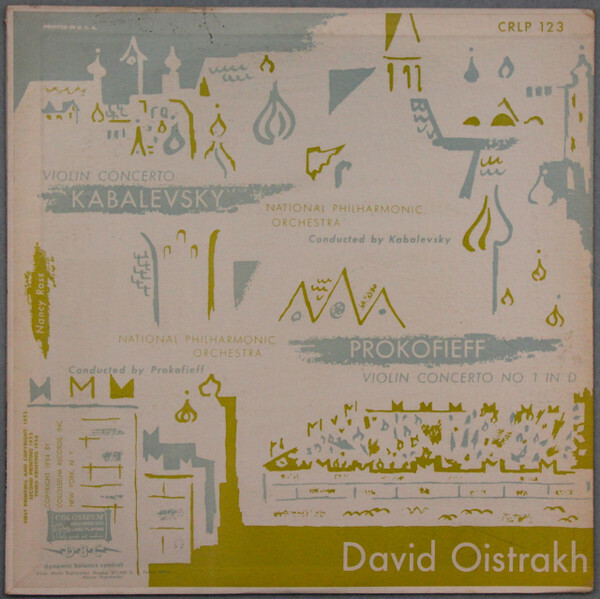 "Another reported recording with Prokofiev and the Moscow Philharmonic was of the First Violin Concerto with David Oistrakh as soloist; Everest Records later released this recording on an LP. Despite the attribution, the conductor was Aleksandr Gauk. " - Sergei Prokofiev - Wikipedia (item found under "Recordings" heading. Prokofiev and Stravinsky – Composers Conduct - "Prokofiev, although he was a reluctant conductor who learned the art only to perform his own works, eventually became quite an adept leader of orchestras. It’s a pity that we have only one recording of his conducting, but it’s a significant one: the Second Suite from Romeo and Juliet. This recording was reissued several times on LPs, with most of these transfers taken from dubbed 78s which were incomplete." Thanks drh for the heads-up, but since I'm not a vinyl man (I sold my vinyls back in the late '80's already and have not looked back) I'll have to do without it unless someone transfers it onto CD or a download. By the way, the DG box does include recordings originating with Melodyia via Westminster (including the 1953 Kondrashin recording I mention in my previous post), and I think there are a few early Soviet ones in the EMI box as well that probably have that origin. Thanks also to Donny Brook for your links, which seem to rule out Prokofiev conducting this particular recording anyways. cdgenarian and Donny Brook like this. cdgenarian, Donny Brook and George P like this. cdgenarian and Walter H like this. Now enjoying a spin of the first and fourth symphonies from the above set, mine is the original Philips issue. Donny Brook and Eigenvector like this. I've been enjoying this lately. The Seattle Symphony has come a long way and this recording is rich in orchestral timbres. Donny Brook, JuniorMaineGuide and George P like this. Love the Seattle Symphony. I think they are doing amazing work and performing interesting repertoire. They won two Grammies tonight -- for Kernis's Violin Concerto with James Ehnes. Donny Brook and Bubbamike like this. The Nashville Symphony Orchestra is playing his Symphony No. 4 in concerts the 21-23. The performances will be recorded for a Naxos release. The NSO has earned 24 Grammy nominations & won 13 Grammy awards. ubertrout, JuniorMaineGuide and Donny Brook like this. There's actually a video of Sir Mix-A-Lot's performance of "Baby's Got Back" with the Seattle Symphony but I suspect that it may be considered as less than appropriate for this thread and so it shall remain without a direct link although it's rather a hoot and you can't help but laugh but decorum bests humour in such matters as these. Just listened to a powerful recording of the second symphony from the above set. Tonight's transfer project: the famous mad scene aria from Lucia di Lammermoor as recorded for Victor by Amelita Galli-Curci. Very lovely, and for the time unusual in being spread across one 12" and one 10" record, yielding a more complete rendition. Funny thing: the 12" record, containing the segment "everybody recorded," dates to 1917, but the 10" record, billed as "part 2," was done in 1922. You'd never guess at the lapse of years when playing them back to back (or spliced together, as I did on my "server" computer). As a lifelong fan of Galli-Curci (I have every one of her recordings on original 78s), I have often wondered why the 5 year gap between the two records. I need to check the recording ledgers, perhaps there were earlier attempts which were rejected. People like to argue about how she stacks up against such celebrated predecessors as Tetrazzini, but I think no one ever managed to project sheer joy in singing as well as Galli-Curci, at least before that unfortunate throat operation. I don't think she can exactly be described as "under-rated," but I do think she sometimes doesn't quite get her due, either. I agree. Some modern listeners dismiss her as something of a "lightweight", I could not disagree more! So this turns out to be an interesting bit of discography. The first part of the Mad Scene is on matrix C-18587, the C of course representing a 12-inch side. On 10/30/1916 takes 1 and 2 are recorded, the next day takes 3 and 4, and on 11/7/1916 take 5. All these are unreleased. On 2/1/1917 we have the released take 6, along with unreleased takes 7 through 9. The second part of the Mad Scene is not attempted. Now for the electrical remake, per Victor's standard operating procedure the same matrix number is used, but it's now CVE-18587, the VE denoting the Western Electric system. Take numbers start where the acoustical ones left off, with takes 10 through 12 on 5/6/1926 and take 13 on 12/20/1926 recorded but not issued. The second part is attempted on 7/11/1922 (takes 1-3) and the following day (takes 4 and 5), on 12-inch masters C-26595, all unreleased. They try again on 9/20/1922, this time on 10-inch masters, using the same matrix number but with the 10-inch prefix, i.e. B-26595. But this time they start fresh with take numbers 1-4, and 5-6 the next day, take 6 being the one chosen for release. For the electrical remake we're back to 12-inch, and thus CVE-26595, but the take numbers continue from the old 12-inch version. Takes 6 through 8 are recorded 5/7/1926 but not released. This is why discographers are making a mistake when they drop those prefixes! McLover and Scooterpiety like this. I never understood why Victor used the same matrix numbers for re-recordings of the same selections. I can understand doing it if the recordings are made weeks or possibly even a few months later, but years later? And the same number for both acoustic and electrical recordings? Sometimes (but not always) Victor also recycled catalog numbers for different recordings of the same selection. I didn't realize either practice was more than an occasional fluke. Recycling catalogue numbers seems to have been business as usual for Pathe, however, at least if you credit what I remember of the preface to Girard & Barnes. Luckily, the contributors to this thread do not ignore the many, many great historical recordings of classical music. I know that a lot of my own favorite performances for certain works are historical recordings. Note to George: I don't know/don't remember if you are an admirer of Lubka Kolessa, but the reviews I linked in my immediately preceding post include a 1936 radio performance by that pianist in the Mozart D Minor Cto., appearing for the first time courtesy of Pristine Audio. Must confess, the Doremi issue from some years back devoted to Kolessa didn't do a lot for me, but this one is part of an issue of material led by one of my "automatic want list" conductors, Max Fiedler, so I'm "automatically" interested. Do I remember correctly that you've had less than flattering things to say about Pristine's transfer philosophy in the past? I don't think I have any issues from that label in my collection at the moment. If I recall correctly, the Doremi (which, in fairness, included a different Mozart concerto also conducted by Fiedler) was toward the better end of that wildly inconsistent label's audio production. Edit; Perhaps of promise in the case of Pristine: the Fiedler set containing the Kolessa performance was remastered by Mark Obert-Thorn.